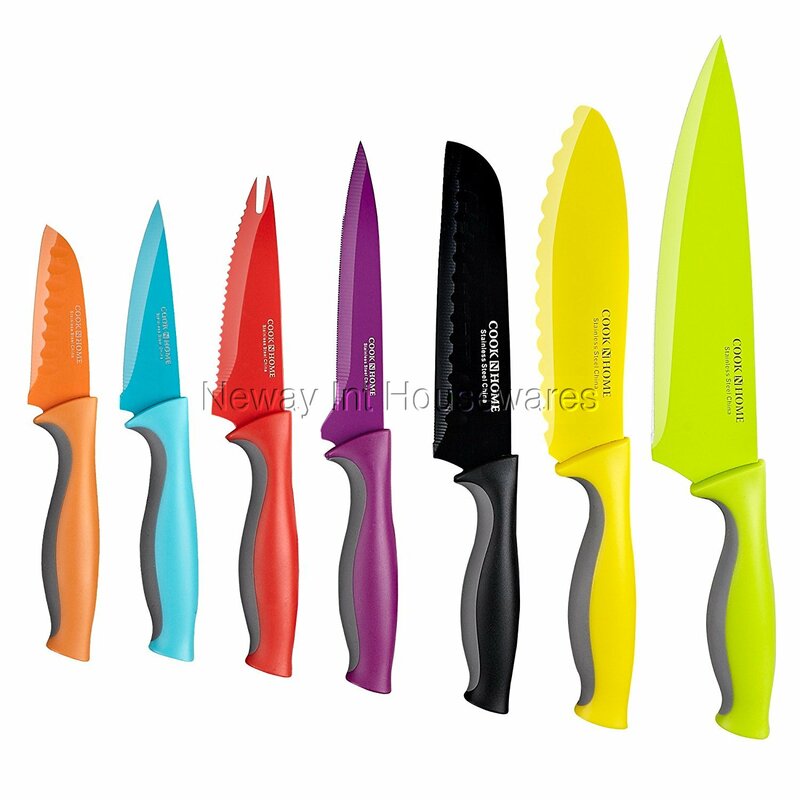 ​The Cook N Home 14-piece coated carbon stainless steel knife set, Multicolor includes: 8 inch chef's knife, 6 inch sandwich knife, 5.5 inch Santoku knife, 5 inch serrated utility knife, 4 inch cheese knife, 3.5 inch Paring knife, and 3 inch Santoku knife. Made of carbon stainless steel that is hard, stays sharp, and balanced. Nonstick coating for easy food release and cleaning. Variety of durable knives for cutting, slicing, etc. Multiple uses prevents cross-contamination and rust. Comes with sheaths for storage and protection. Soft grip handle is ergonomic and comfortable. Not dishwasher safe, hand wash and dry immediately.